Muslims all over the world took to the streets to voice their outrage over US President Donald Trump recognizing Jerusalem as the capital of Israel. The US president's decision to officially recognize the city of Jerusalem as the Israeli capital sent ripples across the Muslim world, with thousands of people in different countries taking part in protest rallies held in response to this development. Dozens of protesters clashed with Israeli security forces as numerous Palestinian residents of the West Bank, the Gaza Strip and Jerusalem rose up to protest against Trump’s declaration. 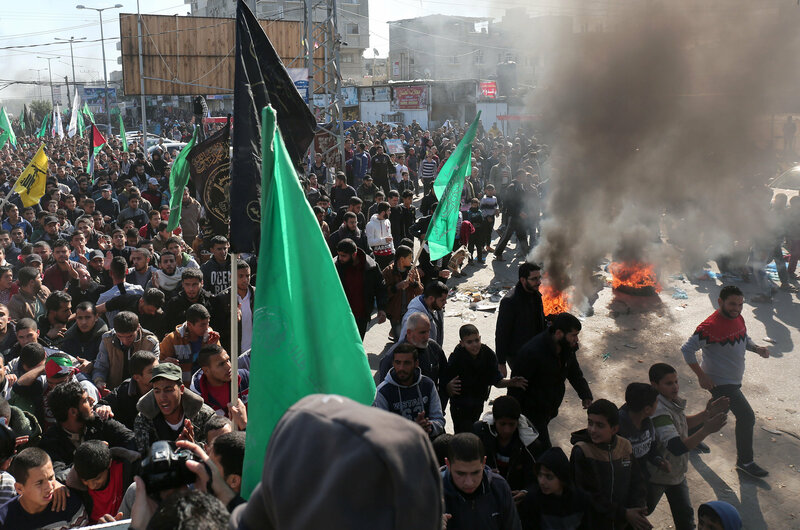 The protests were preceded by Ismail Haniyeh, leader of the political bureau of the Palestinian Hamas movement, declaring Friday a "day of rage" and calling for a new intifada. Reacting to this development, Israel bolstered the police presence in Jerusalem and deployed additional army units to the West Bank. About 200 Palestinians ended up injured in the ensuing clashes between Israeli security forces and the protesters, with one person reportedly getting killed. 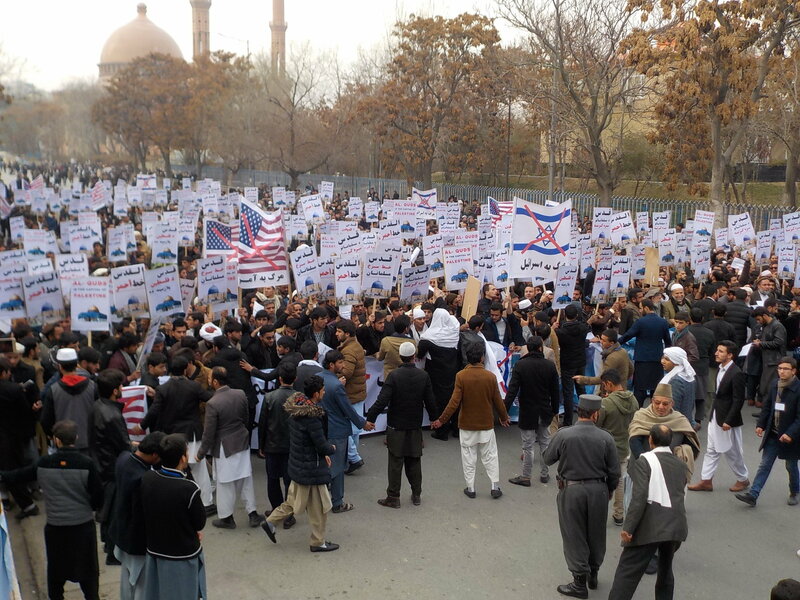 Protesters in Kabul were carrying banners with anti-US and anti-Israeli slogans like “Death to America!” and “Death to Israel!” as well as placards depicting crossed-out American and Israeli flags. 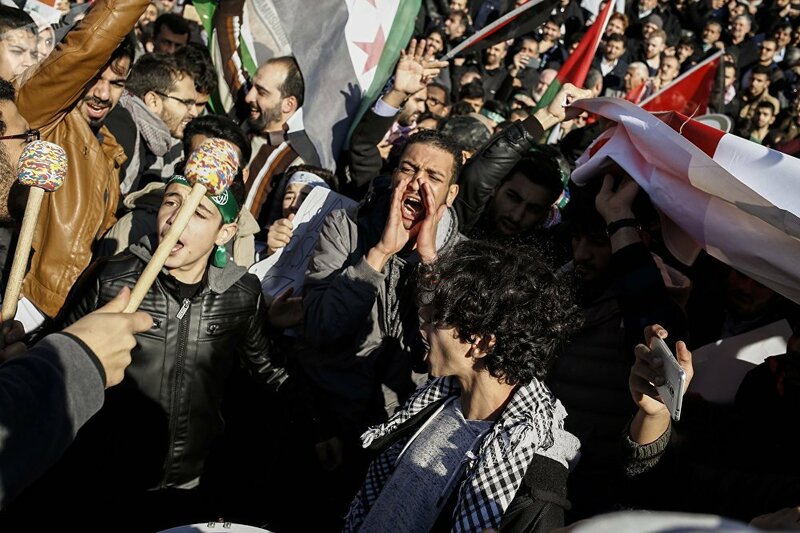 The protests however were not limited to Afghanistan, as thousands have gathered in the streets of the Jordanian capital of Amman to publicly decry Trump’s actions. — Alisa Zaira Reznick (@AlisaReznick) 8 декабря 2017 г. 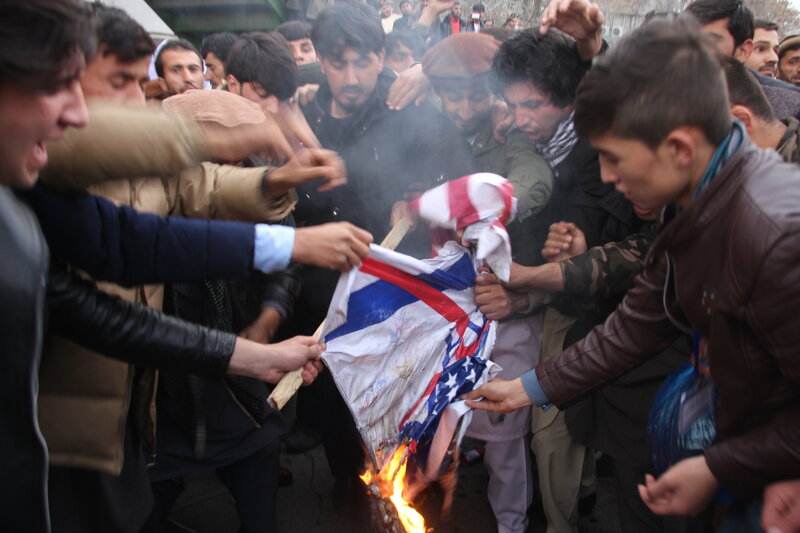 ​The protesters burned American and Israeli flags and, and called upon the government to sever relations with Israel, according to media reports. Their outrage was echoed by thousands of protesters in Indonesia and Malaysia who also took to the streets chanting anti-US slogans, with protesters in Kuala Lumpur burning an effigy of President Trump. — zakimits (@zakimits) 8 декабря 2017 г. Hundreds of protesters rallied in Cairo, waving Palestinian flags and chanting anti-Israeli slogans. Thousands of pro-Palestinian sympathizers marched along the streets of the Turkish capital of Istanbul, chanting slogans like "down with America!" and "down with Israel! ".